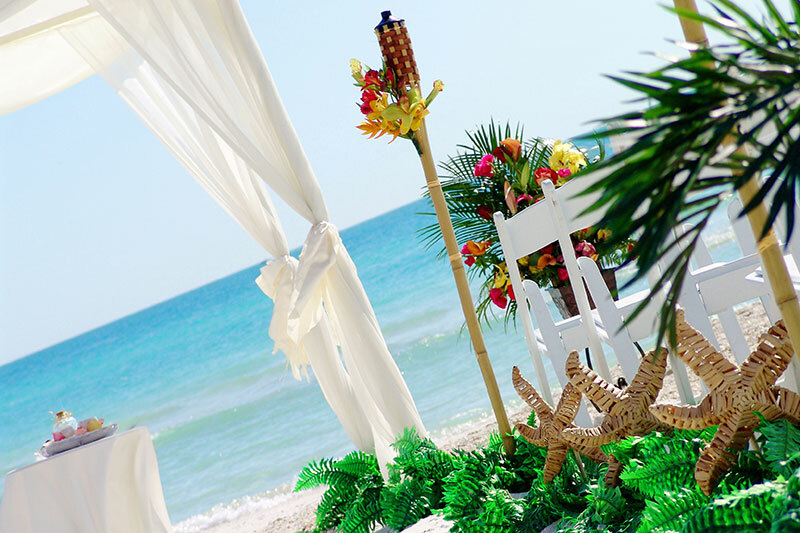 When you think of a Tropical Hawaiian Beach Wedding does your mind drift to a place of peaceful tranquility and gently swaying palm leaves as wafts of caressing breezes rolling in from the turquoise sea gently kiss your face? 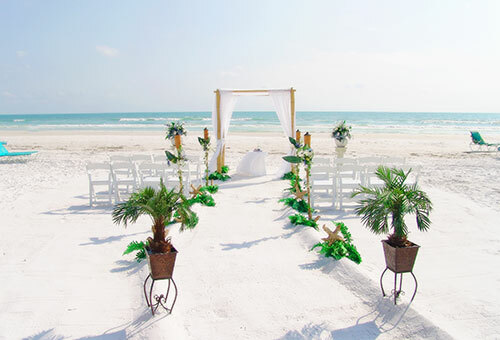 Do you imagine yourself walking down a sand carved isle lined with tropical flowers and fresh rose petals and powdered-sugar-like sand under your feet? 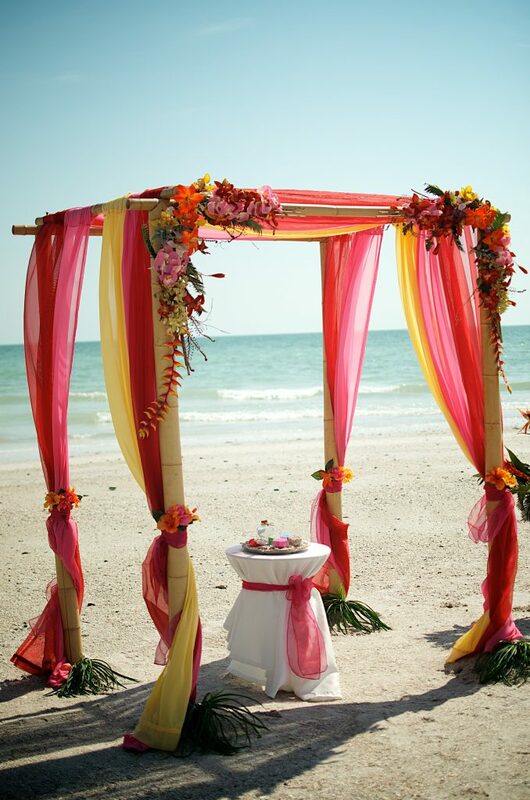 Do you see your handsome groom, standing under a beautiful bamboo arch filled with palm leaves, bright colored orchids, birds of paradise and pincushion flowers, waiting to make you his bride? 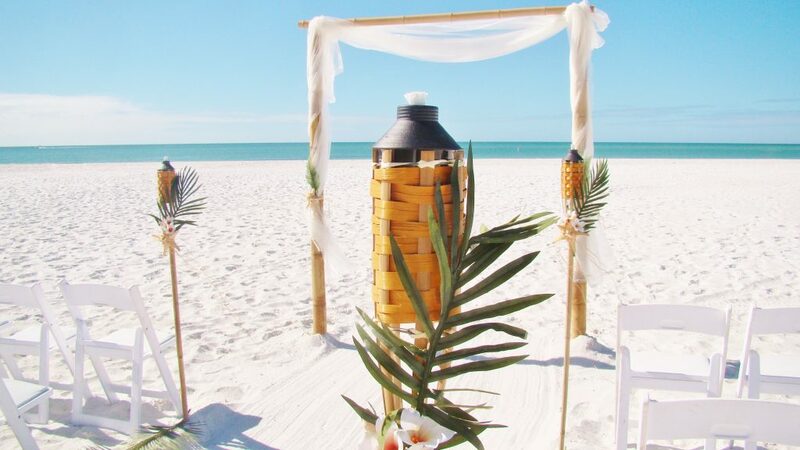 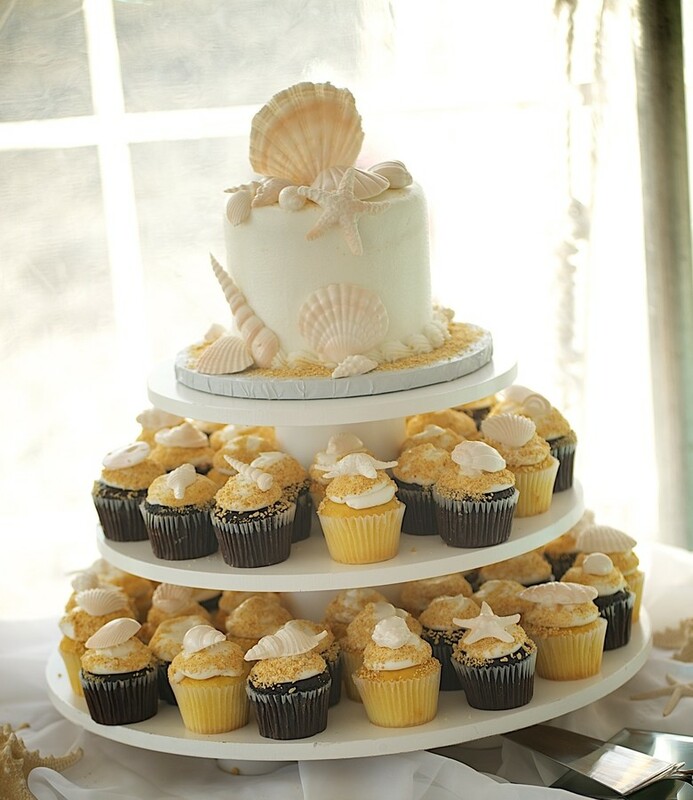 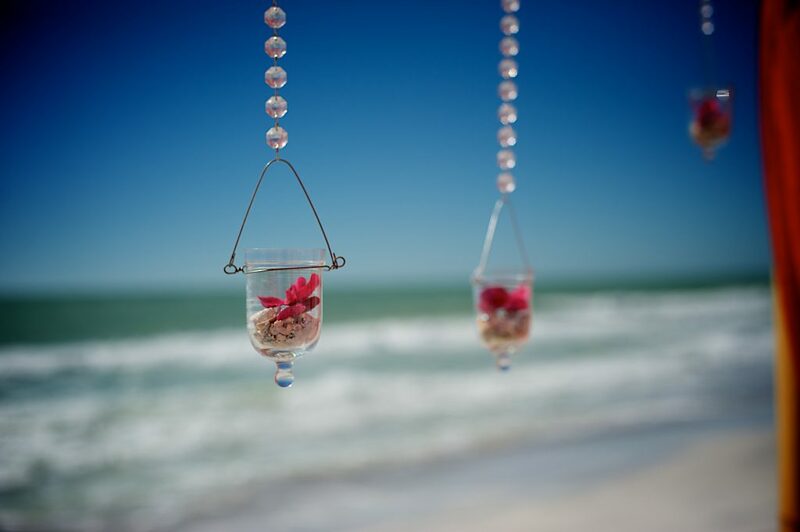 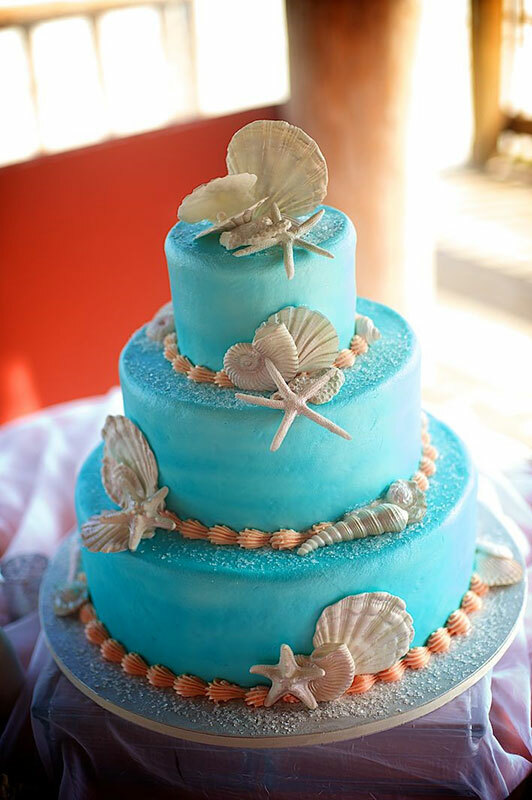 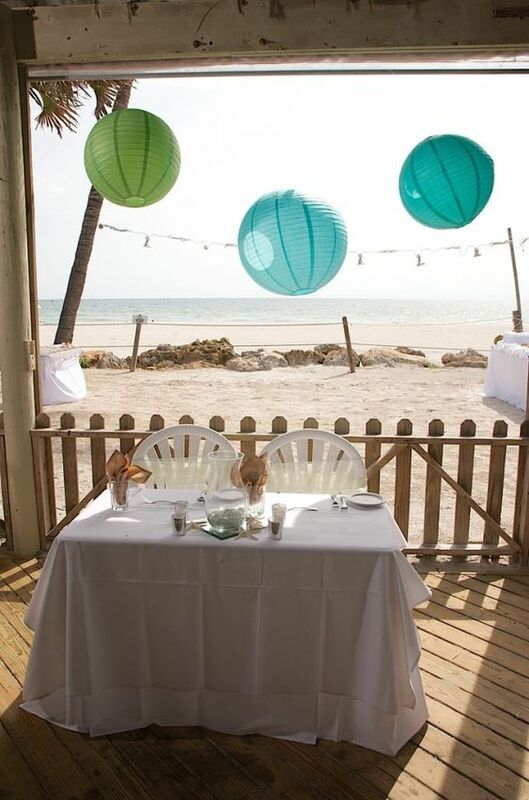 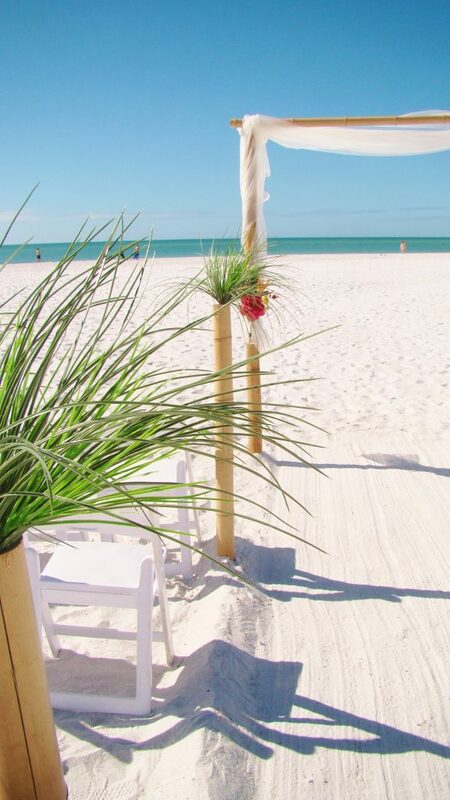 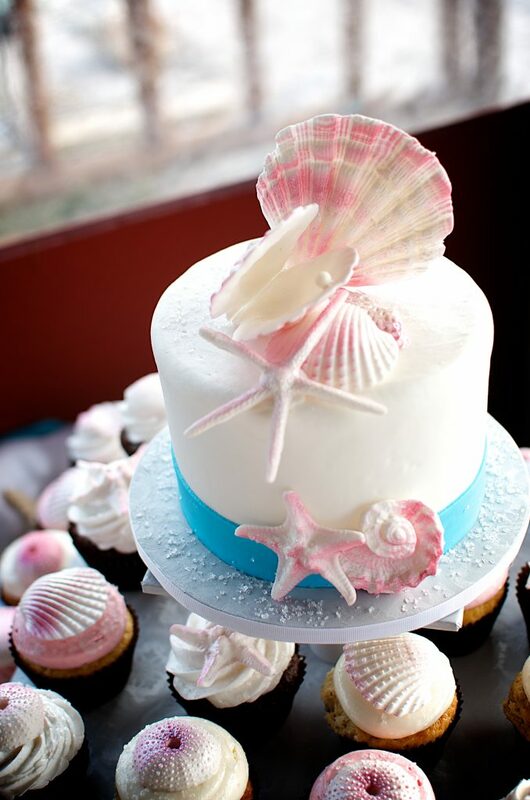 You may be surprised to learn that I just actually described a Sand Petal Wedding’s Tropical Hawaiian beach themed wedding ceremony and reception offered on one of the beautiful key beaches located on the Southwest Gulf Coast of Florida! 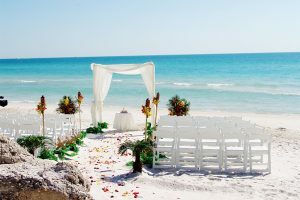 The beautiful beaches of Siesta Key and its sister islands of Lido Key and Casey Key are listed among the top ten best beaches internationally. 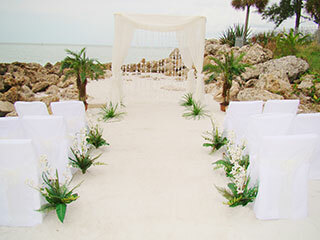 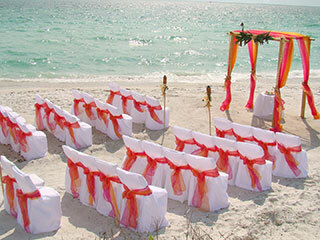 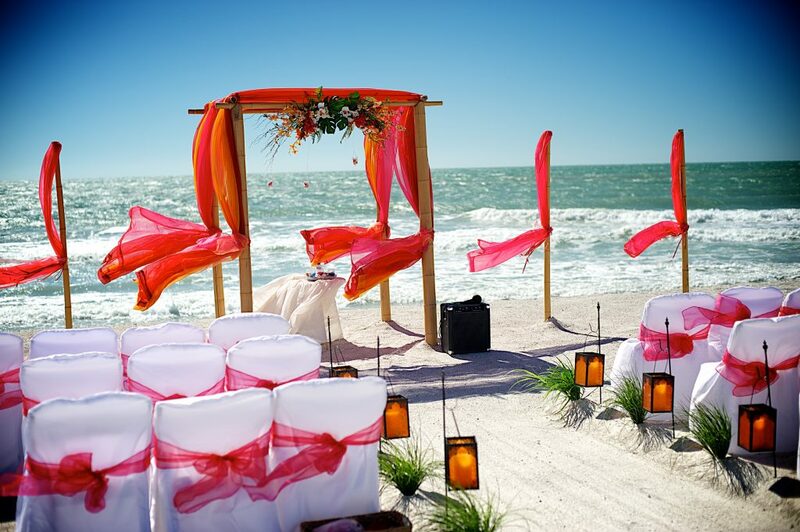 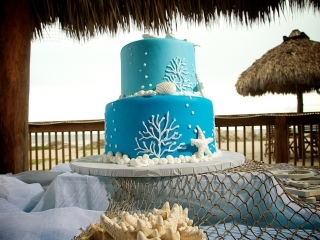 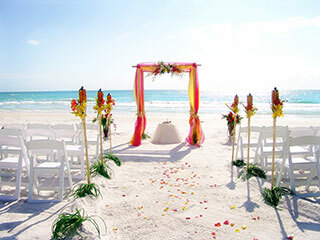 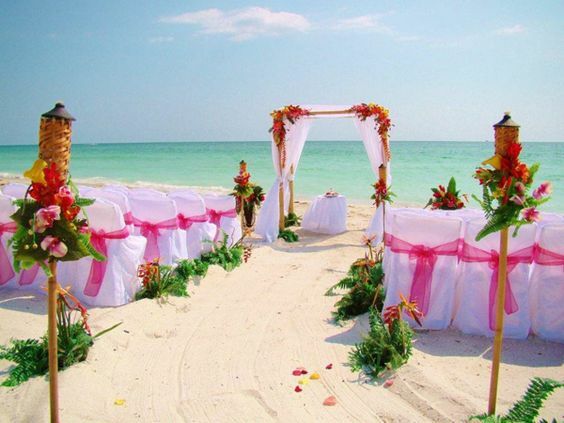 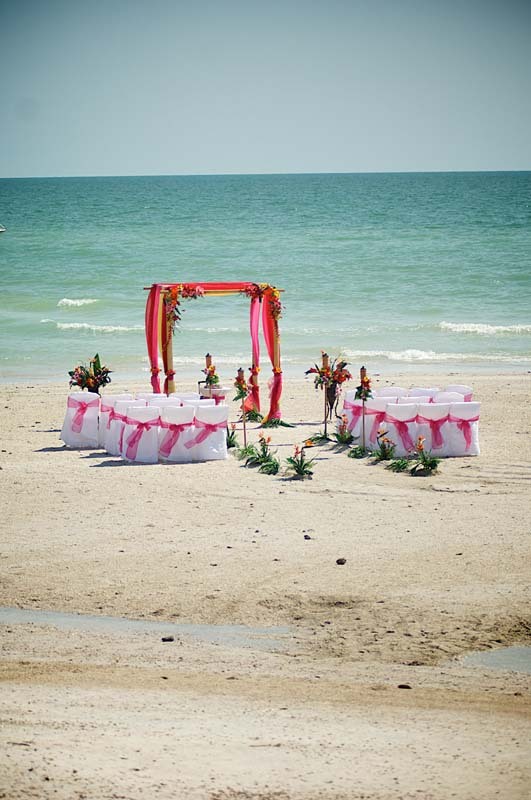 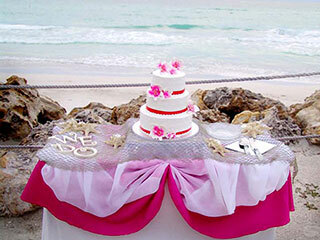 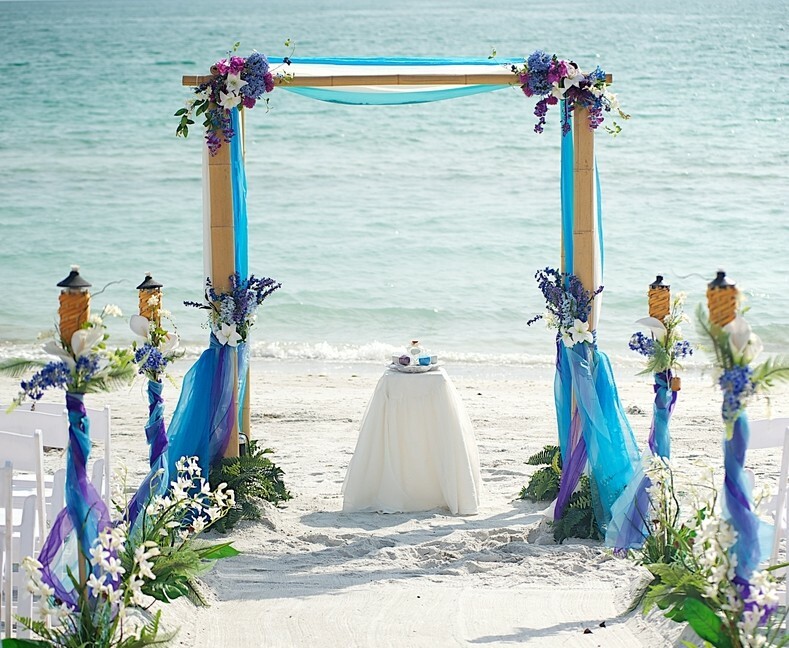 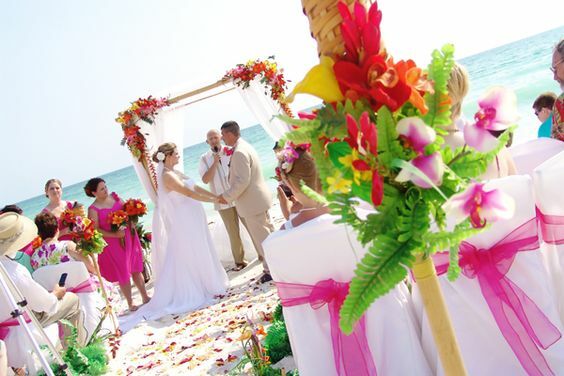 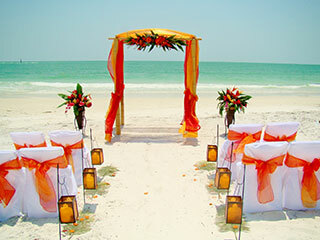 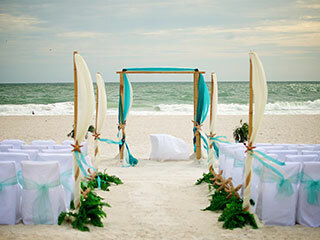 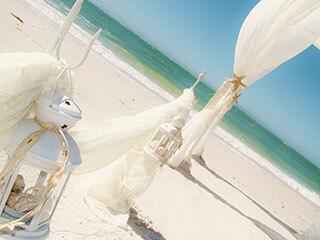 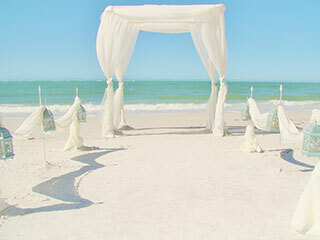 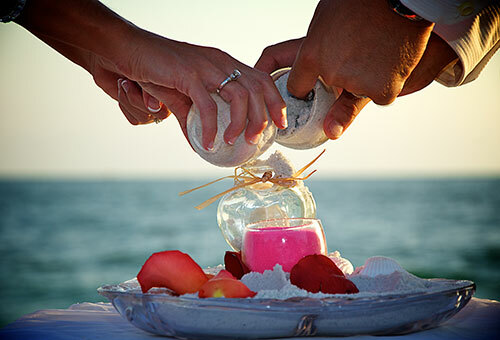 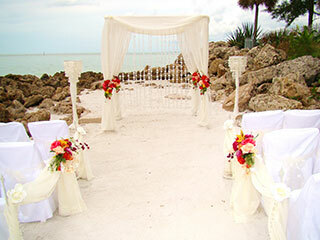 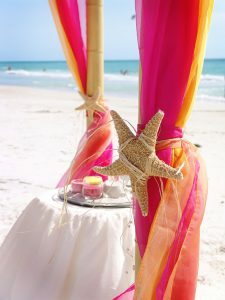 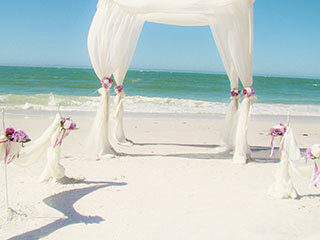 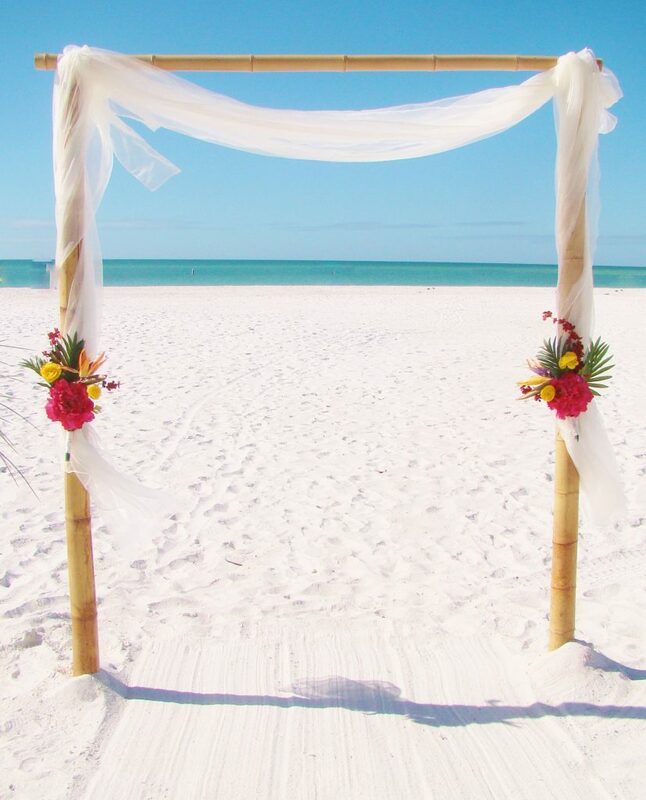 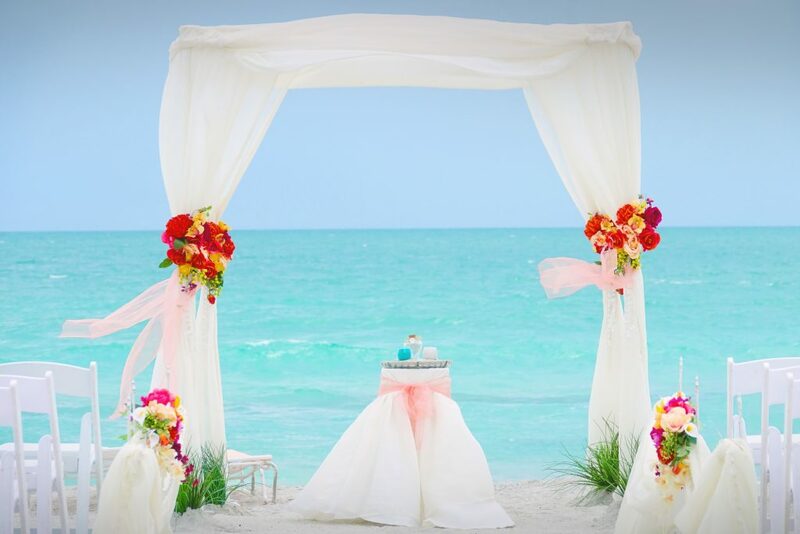 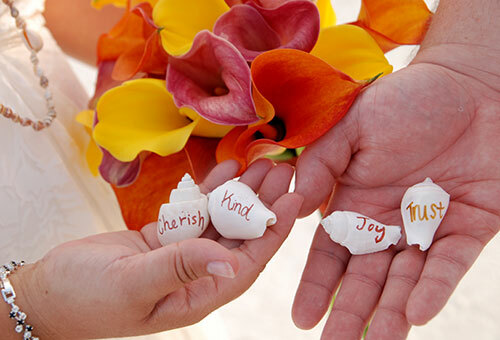 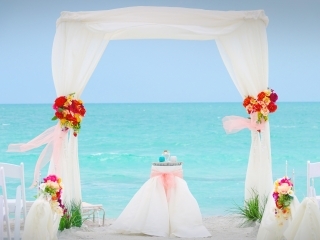 Sand Petal Weddings services these beaches and offers a Tropical Hawaiian beach themed wedding ceremony with decor elements that resemble a Hawaiian beach wedding. 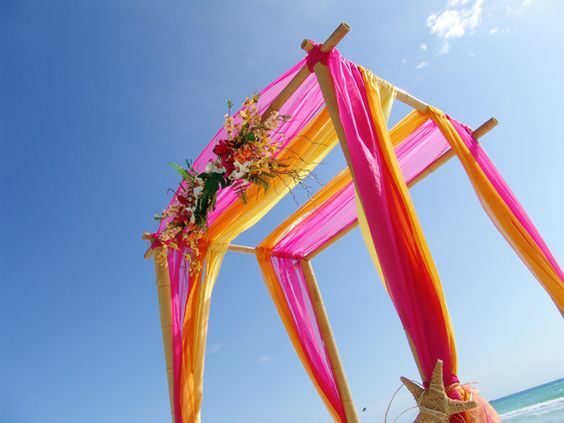 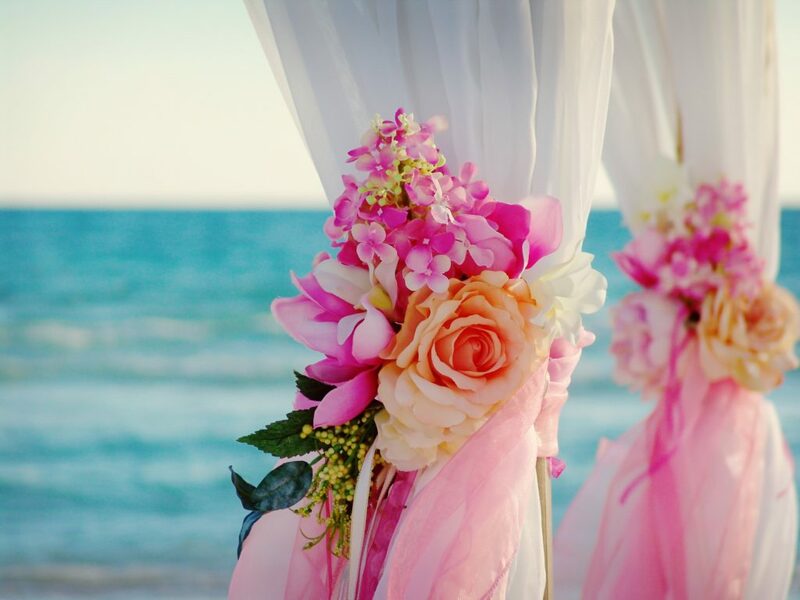 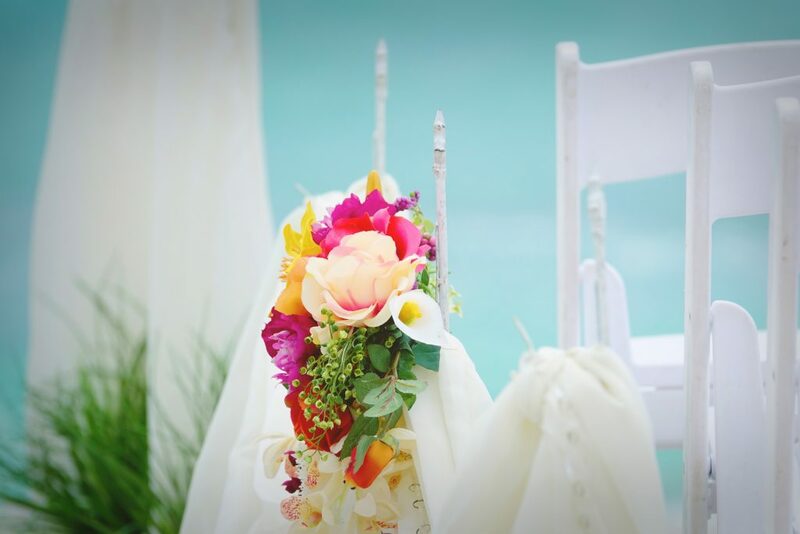 By choosing bright colored fabrics and tropical floral arrangements for the wedding arch and canopy, the ambiance of a Hawaiian beach themed wedding can be achieved without the expense of a wedding in the Hawaiian islands. 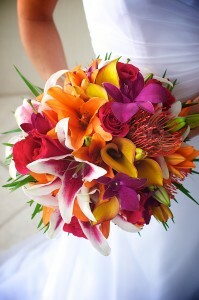 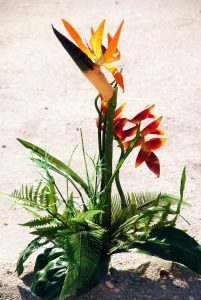 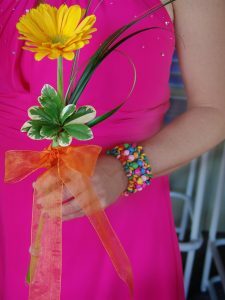 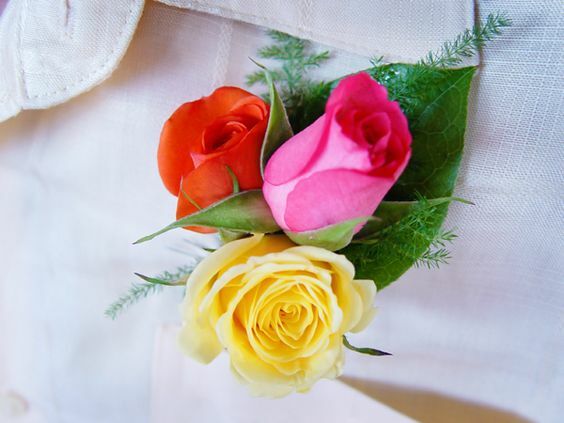 Another way of achieving the ambiance of a tropical Hawaiian wedding is by selecting a tropical floral bouquet, featuring flowers native to the Hawaiian Islands, for the bride and bridesmaids and tropical floral boutonnieres for the groom and groomsmen. 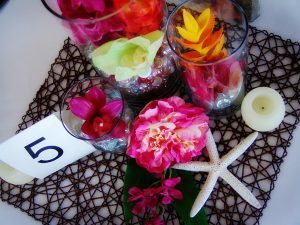 You may carry the tropical Hawaiian theme into your reception by using Tropical Hawaiian wedding decor and centerpieces for the head table and guest tables. 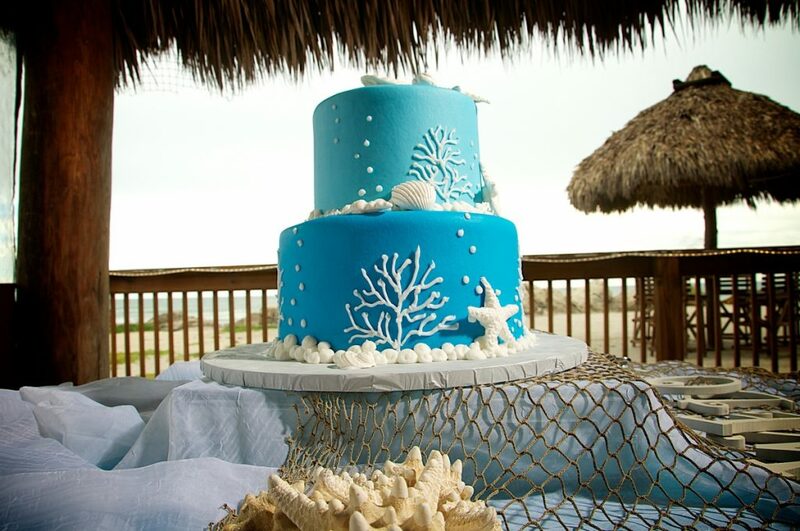 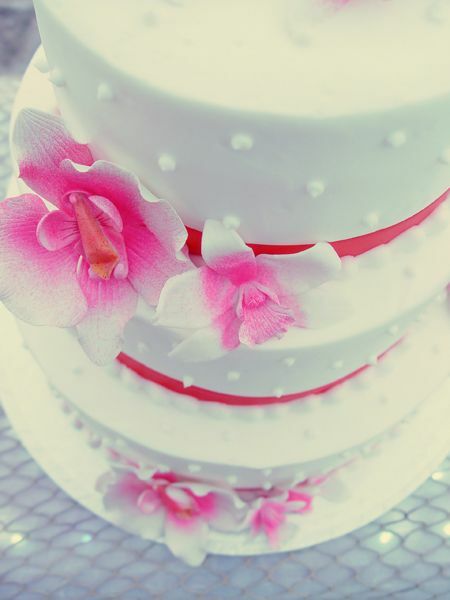 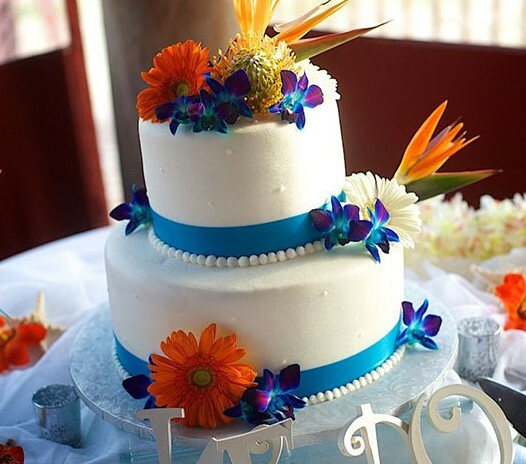 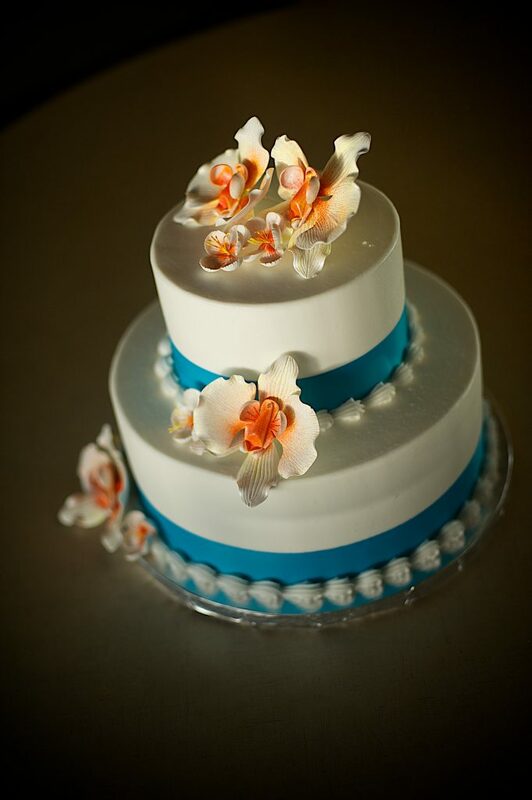 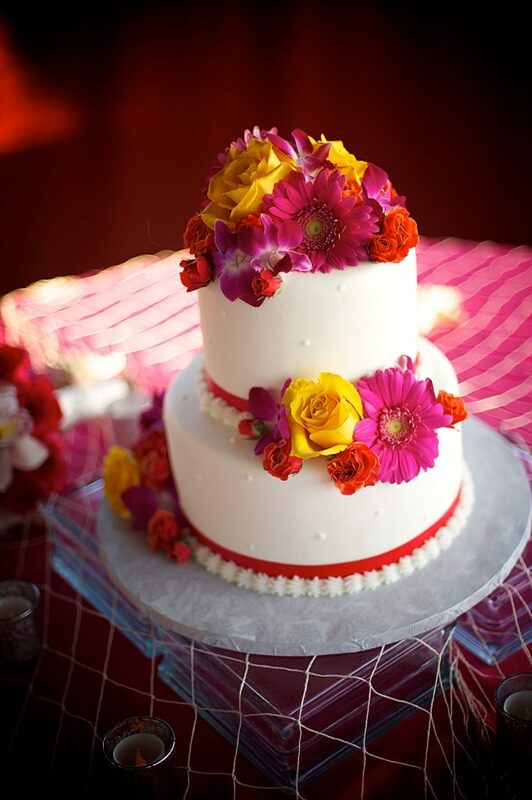 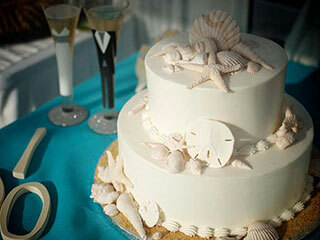 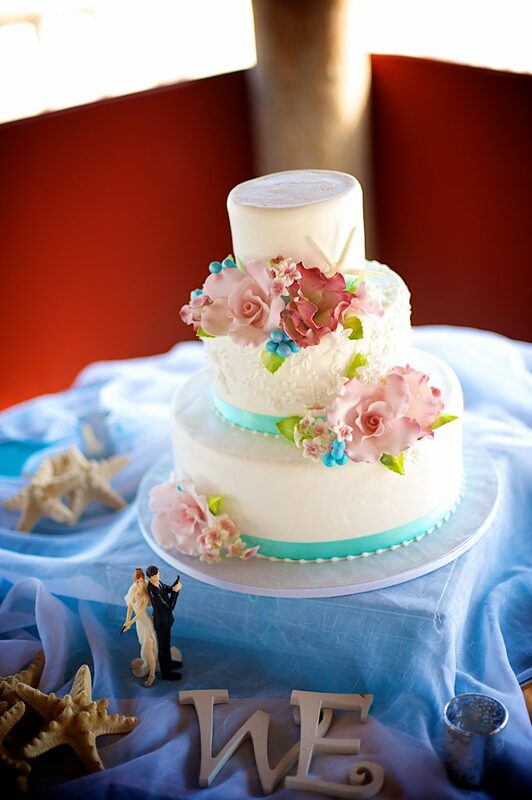 As a beautiful touch of design, our baker can also include tropical Hawaiian decor into your wedding cake! 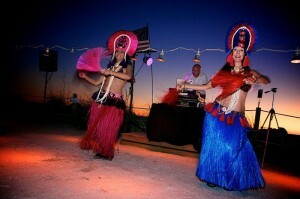 What Tropical Hawaiian Beach Wedding is complete without the Sand Petal Wedding Polynesian dancers? 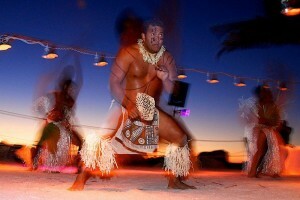 Our exclusive Polynesian show includes three dancers, a fire twirler, and even a monkey! 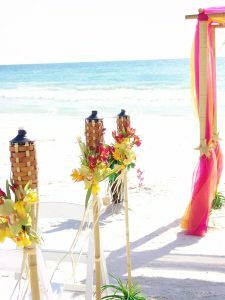 The exciting show features authentic dances from various Polynesian islands and will be sure to be a memorable addition to the reception that guests will never forget! 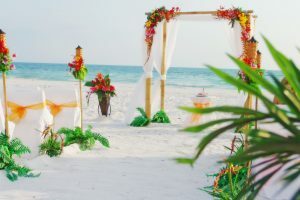 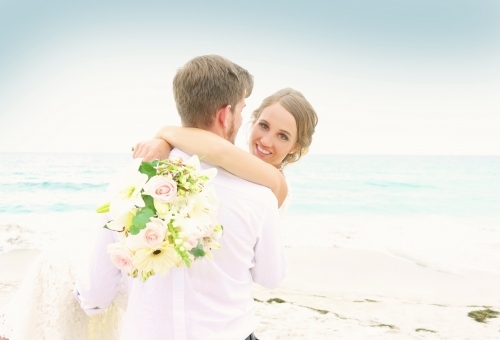 If you love the idea of a Tropical Hawaiian Beach Wedding in Florida but aren’t sure how to make it a reality without the accompanied stress that a DIY wedding brings, call the Award Winning wedding planners at Sand Petal Weddings at 941-923-6060 today. 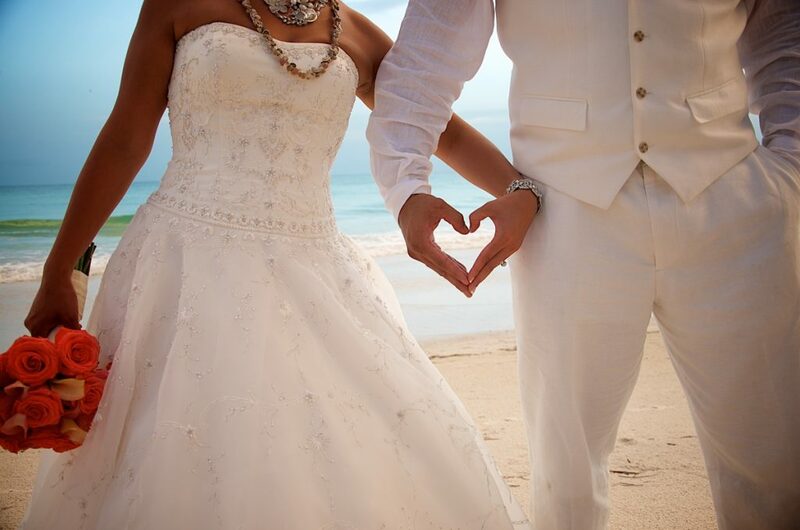 We take the stress out of your most special day. 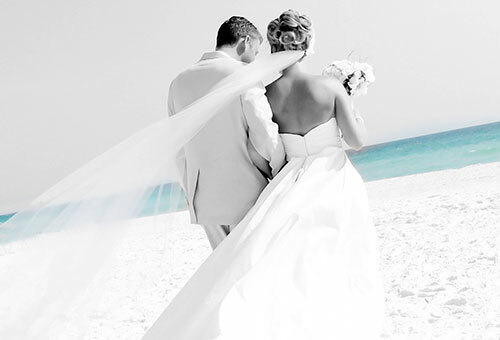 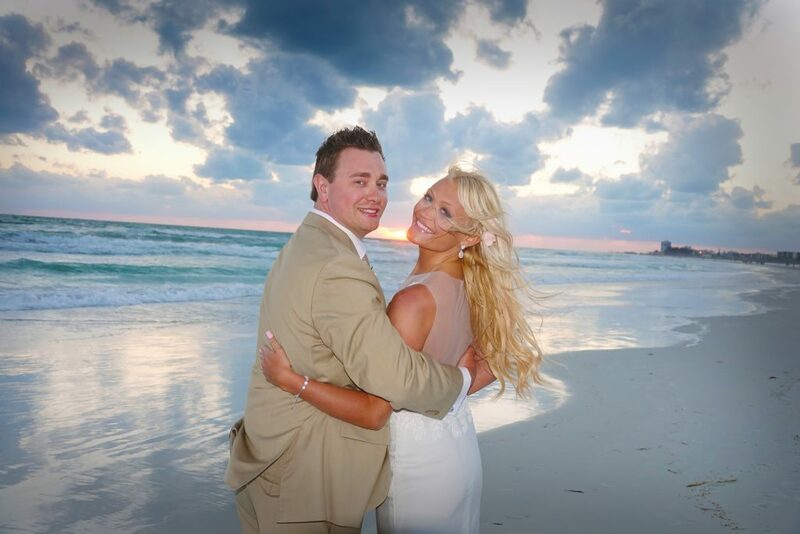 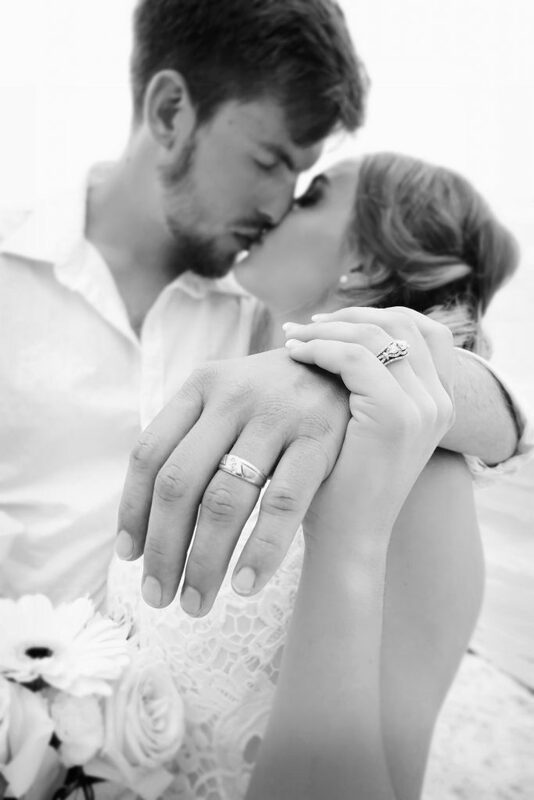 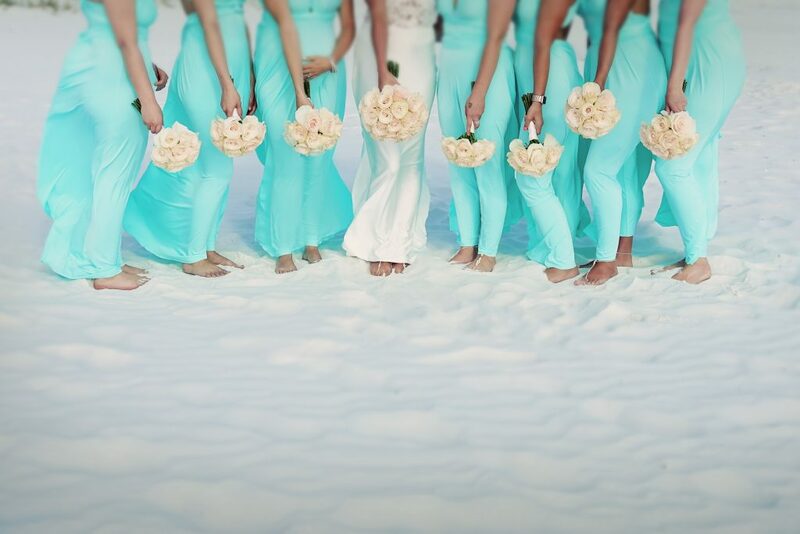 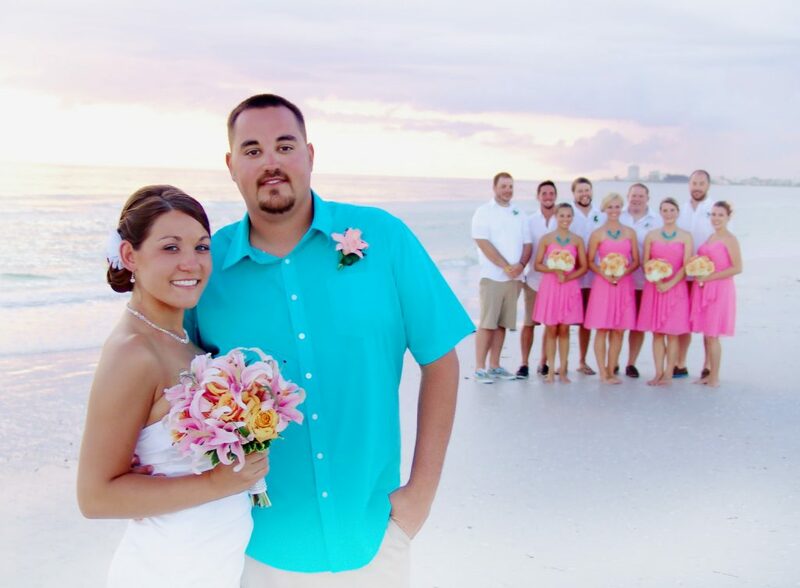 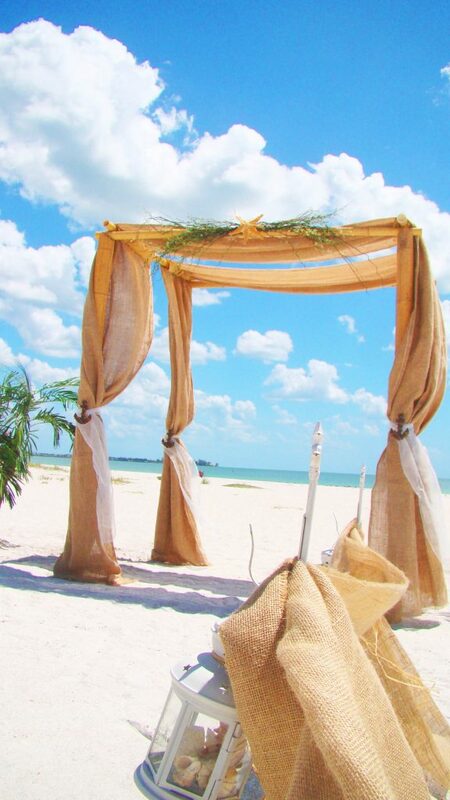 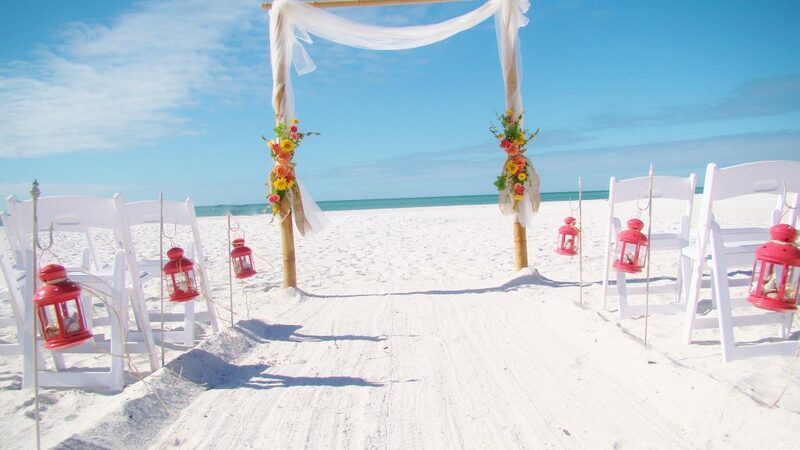 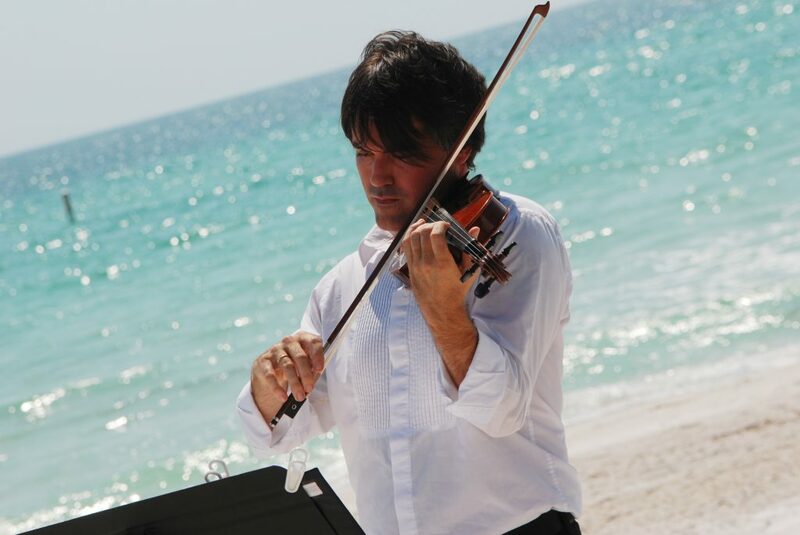 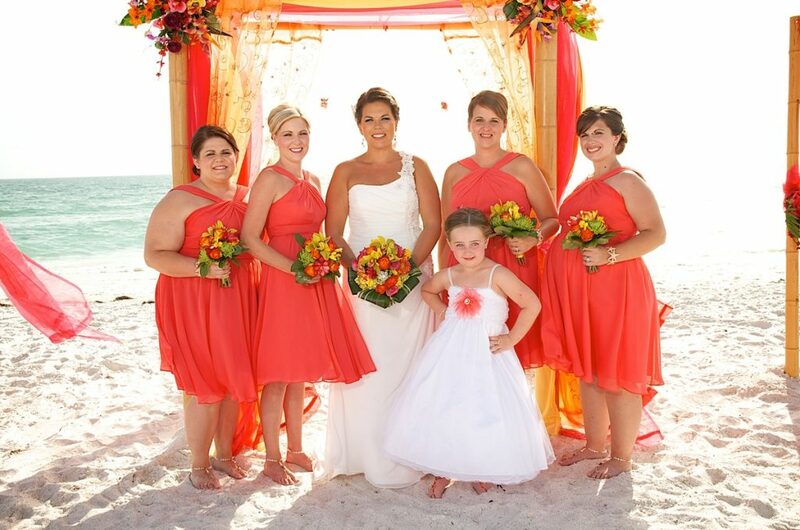 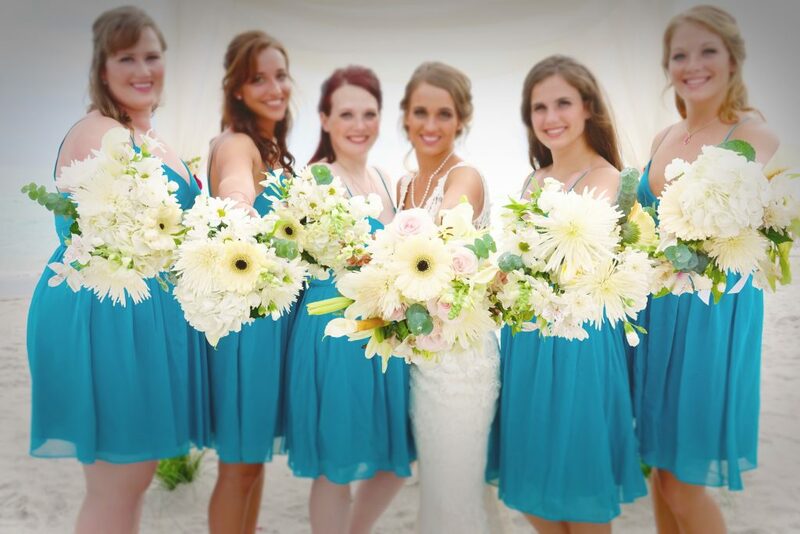 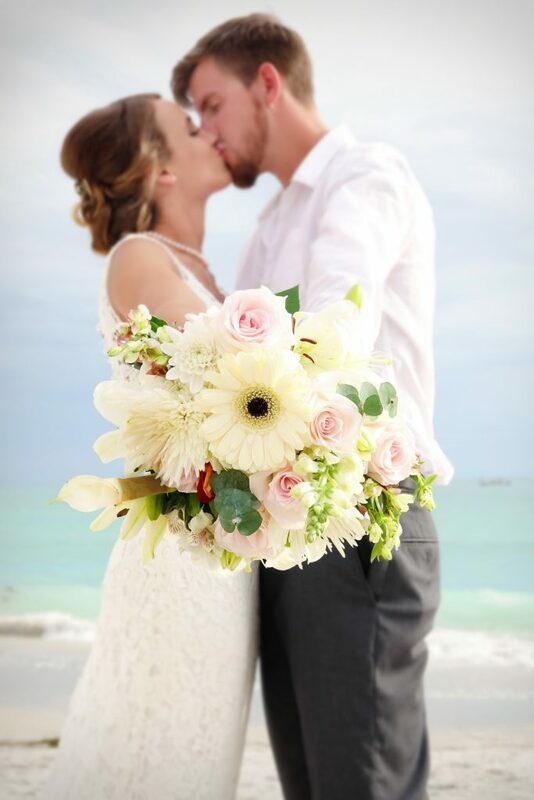 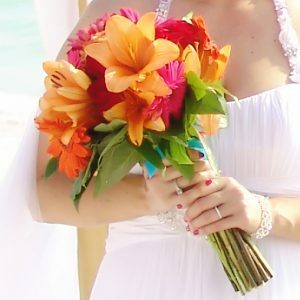 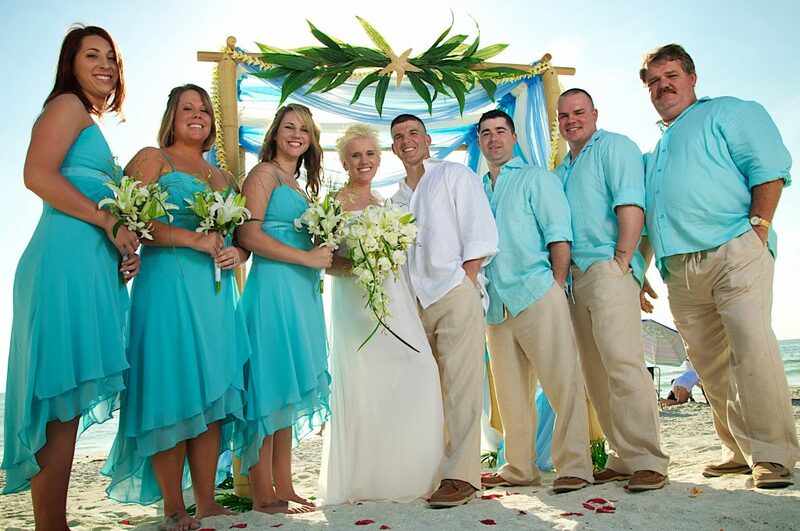 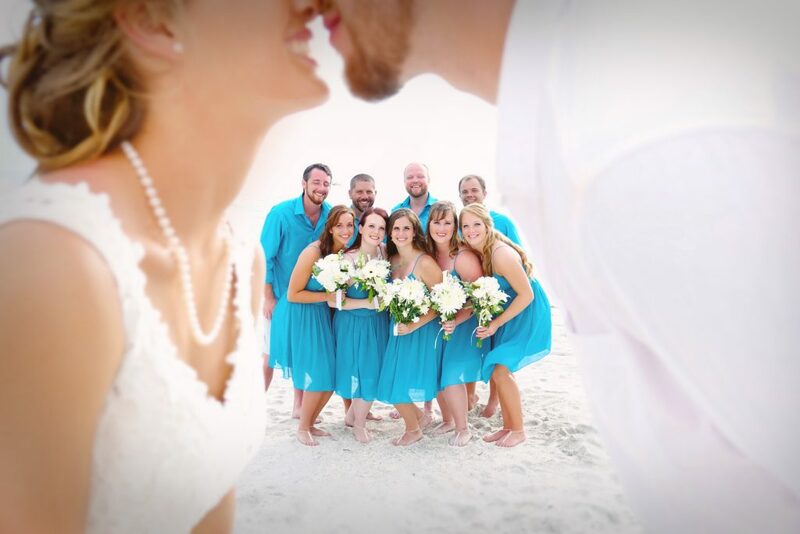 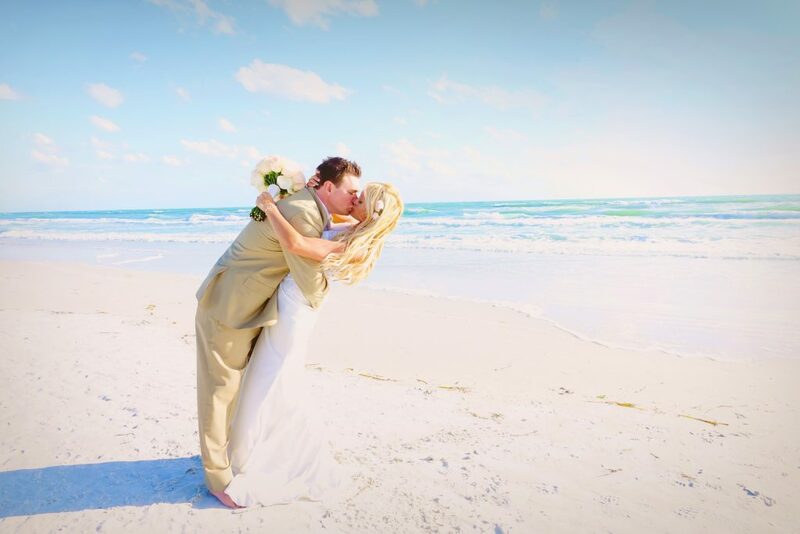 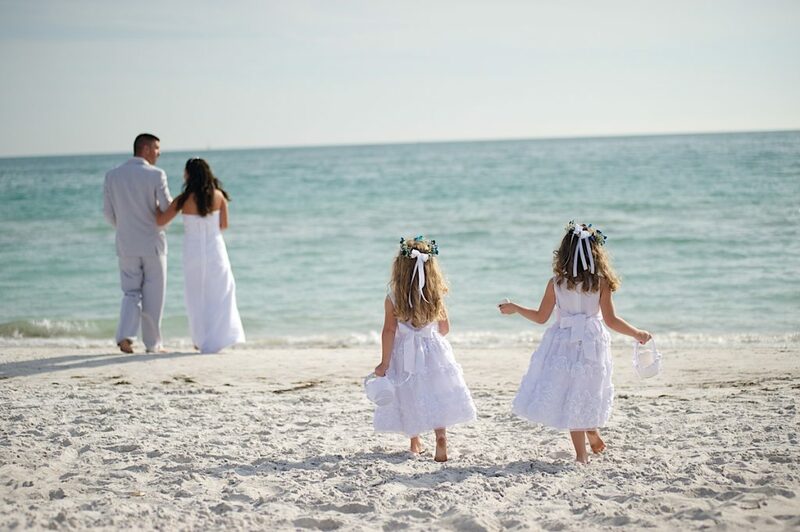 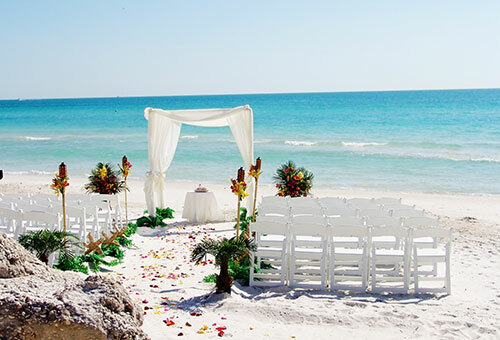 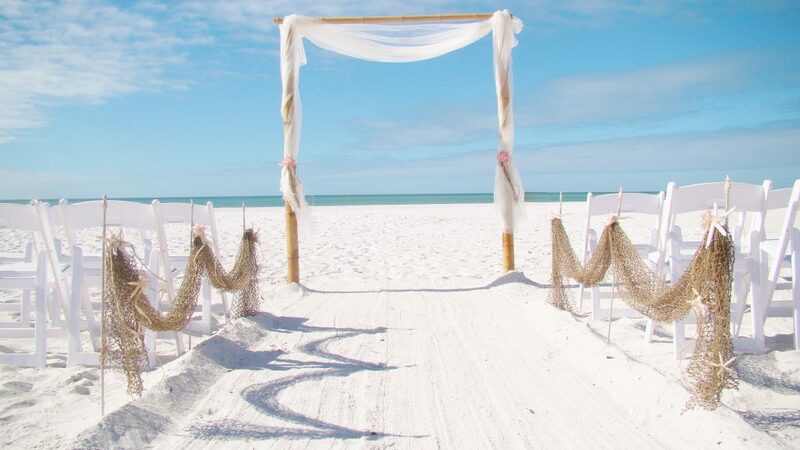 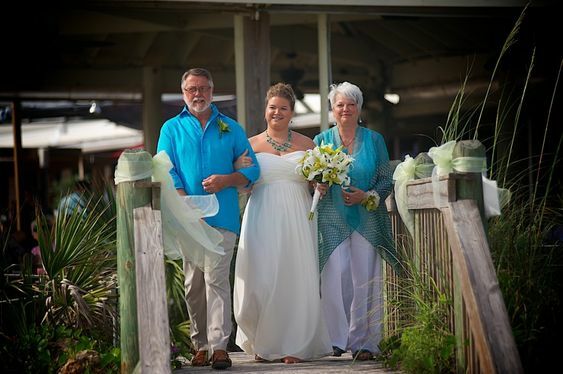 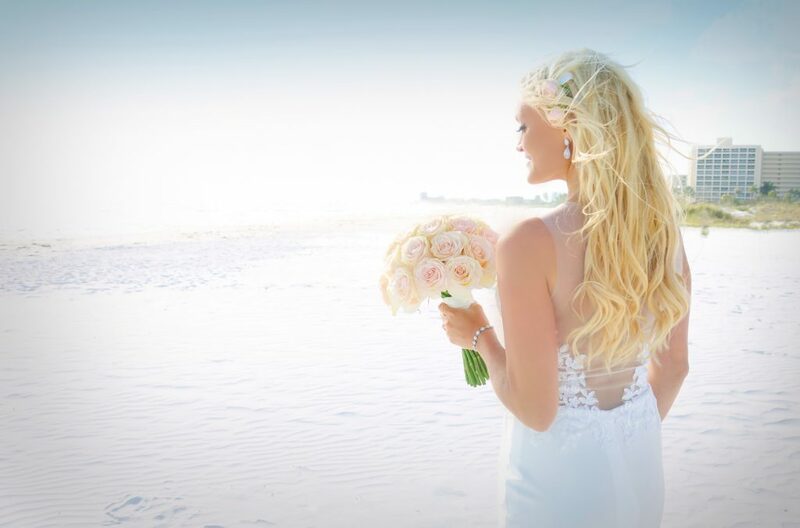 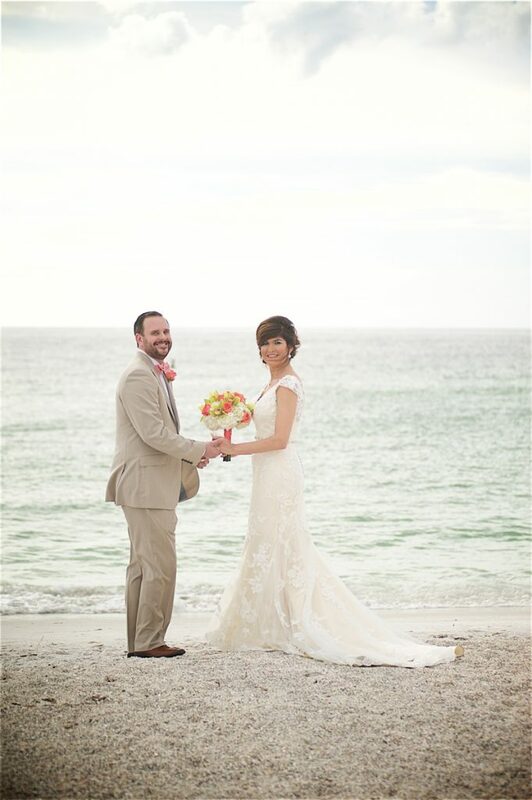 Sand Petal Weddings has been the premier beach wedding planning company on the Southwest Gulf Coast of Florida for over ten years with over 1000 successful weddings under our care! 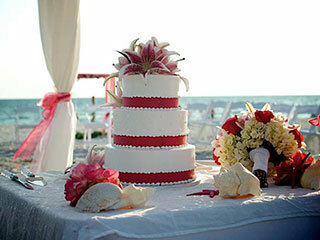 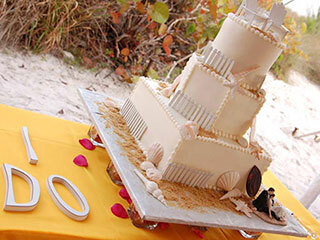 We offer all-inclusive wedding and reception packages, including a Tropical Hawaiian Beach Wedding. 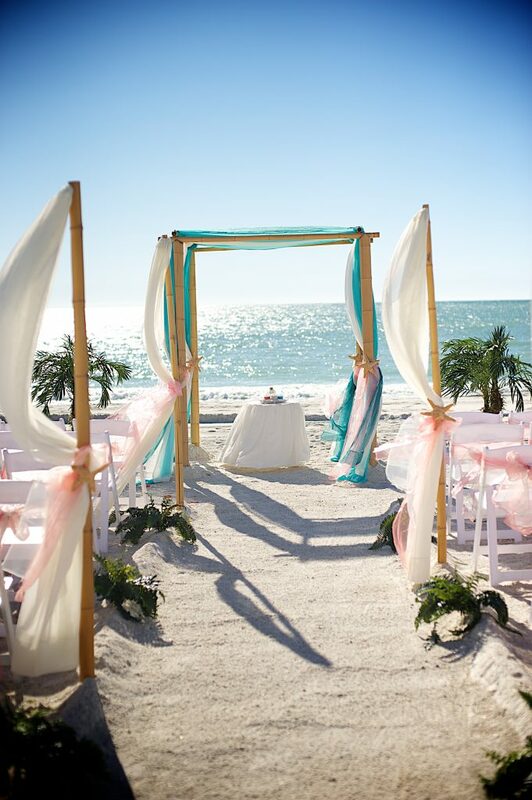 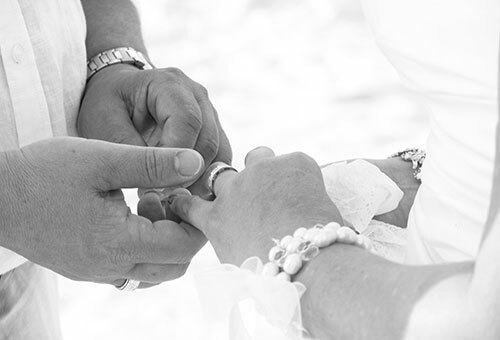 With Sand Petal Weddings at your service, all you will need is your marriage license and a happy groom! 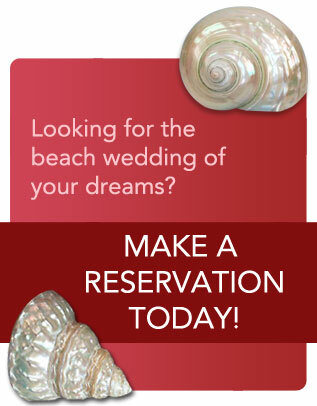 Call today and let us help you make your dream wedding come true!